"RobotGeek LCD and Geekduino Project: Hearts!" 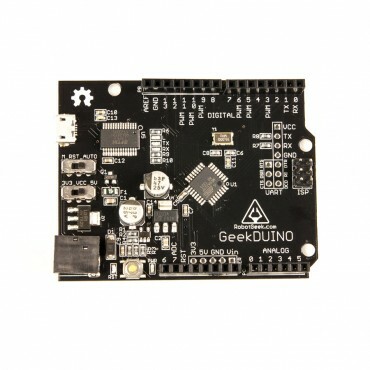 The Geekduino is the new Arduino compatible board from RobotGeek! 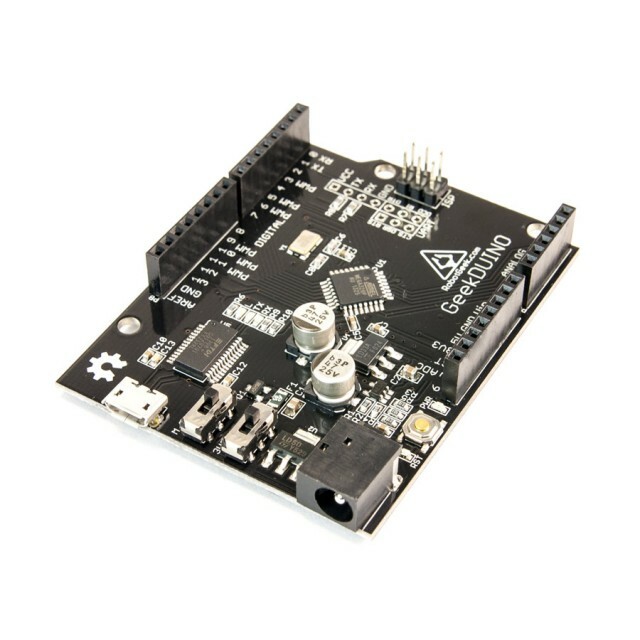 This board goes into every RobotGeek Robot Kit and is the perfect microcontroller for your next robotic project! The Geekduino uses the ubiquitous Micro USB port to power and program the board. The Geekduino can also be powered via the ultra low-profile flat DC power jack. A series of switches allows you to toggle on/off the Geekduino'sFTDI reset (handy for software projects) as well as change the operating voltage of the Geekduino between 5V and 3.3V. 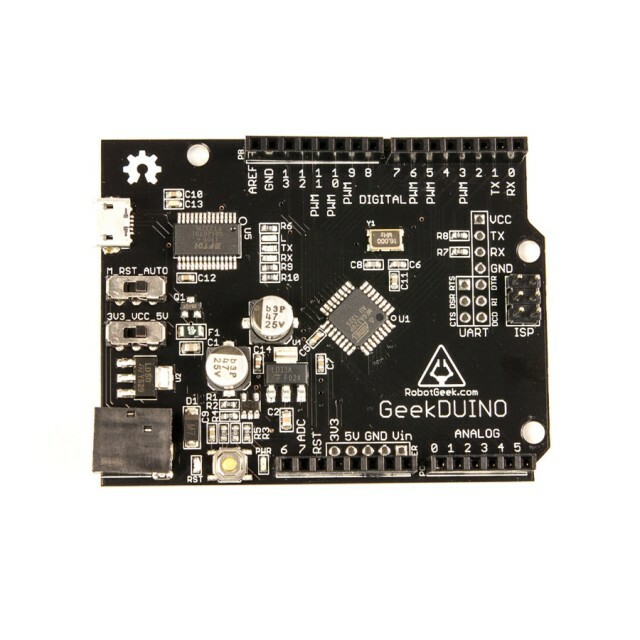 Since the Geekduino is completely Arduino Compatible, it can run the same code as any Arduino Uno. The hole pattern and physical size make this board compatible with any standard Arduino shield. 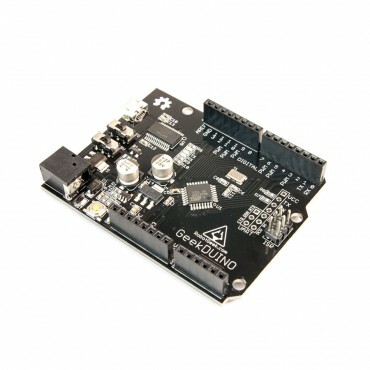 The Geekduino is electronically compatible with the Arduino Duemilanove and uses the ATMega 328, the same chip as the Arduino Uno.